China air cool spindle, drilling system. China automatic lubrication guide rall, free maintenance. China Servo drive system and planetary reducer. Adopt the imported world-class components, such as China electric components, stable performance. 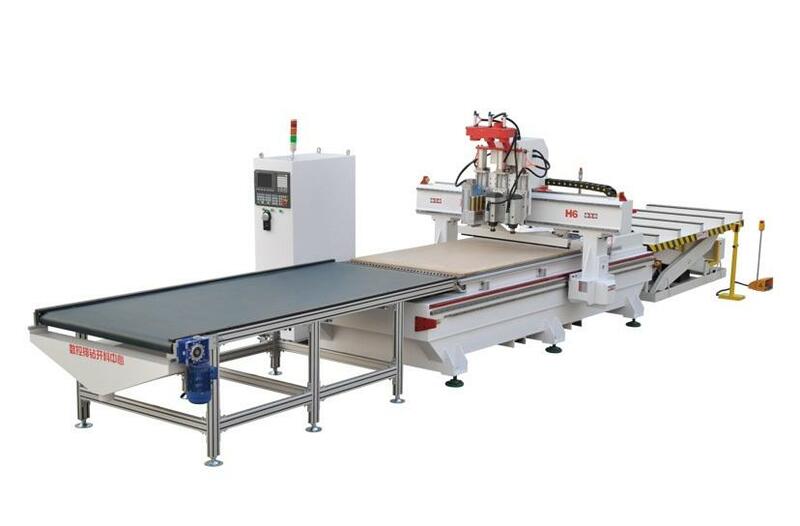 This machine is used for the cutting and drilling of customised panel furniture,It can synchronously manufactrue all kinds of specifications of back slot and both the front and the vertical hole. It combined with special design and split software, realizing automation production. Save labor,material, time, get rid of traditional cutting model dependence on artificial,entirely replace push table saw and electronic cutting saw.